Award-winning design studio, Inhouse, has completed the interior of a privately-owned manor house in Franschhoek in the picturesque Cape Winelands. 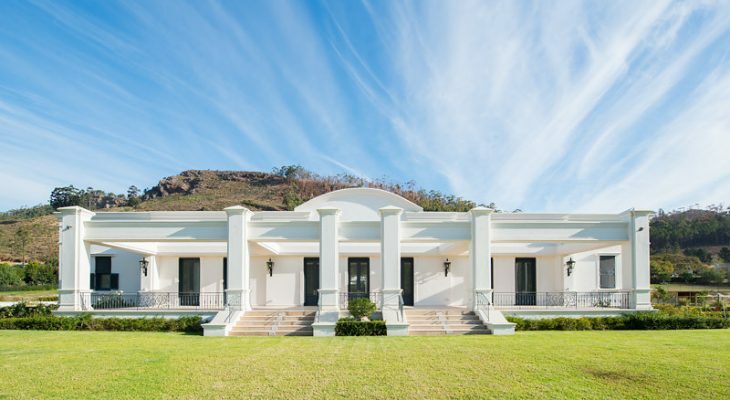 The home was built from scratch in collaboration with Chris de Hart Architects with the aim of capturing the sweep of a spacious plantation-style country estate, with aesthetic touches inspired by the film Casablanca. Take a look at the complete story below. From the architects: The house features large custom-made French doors that open outwards onto courtyards and verandas that complement the landscape. Inside, the house is made up of spacious rooms with high ceilings that display ornate moulding and coffer details. These details are key decorative features and a strategic choice by Inhouse intended to soften the vastness of the space. A large collection of antique furniture was included in the design and Inhouse created an interior scheme that would be sympathetic to the finishing. The house’s main living room, which comprises of two sitting areas, features key antique pieces set before an austere floor-to-ceiling black fireplace. The ceiling boasts moulded designs around which concealed cove lighting has been fitted. Additional lighting is supplied by two elaborate chandeliers. The living area leads, via an archway, into the kitchen. Here a marble plinth kitchen island, which is lit by three traditional pendant lights, takes centre stage. 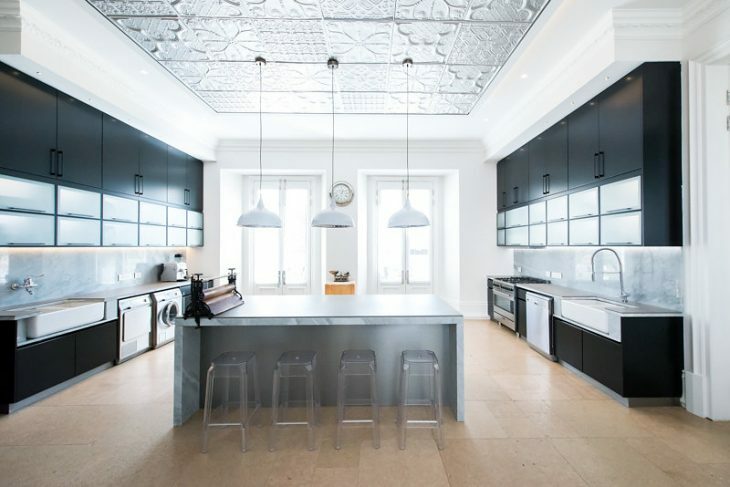 Other striking elements in the kitchen’s design include the wine barrel ceiling detail and the meticulous bare brickwork wall that surrounds an Aga cast-iron oven that was imported from the UK. The use of timber and exposed brick creates an inviting and homely kitchen environment. This manor house was established with the intention of holding large functions and gatherings, therefore a scullery, pantry and “prep” section were included to accommodate any catering requirements. Floor-to-ceiling pantry cupboards are accessed via stepladder. The ceiling is made up of a collection of original pressed panels framed with a contemporary bulkhead that has been lined with concealed cove lighting. Like the main kitchen, the scullery also features a marble plinth island above which three pendant lamps hang. A small passageway, which is illuminated by Moroccan-inspired pendant lights, connects to the home’s sleeping quarters – the main bedroom, guest suite and children’s room. The main bedroom features a colour palette of white, silver and grey and decorative wallpaper, a large chandelier and mirror-clad cupboards complete the luxurious look-and-feel. The bedroom has a conjoined dressing room and en-suite bathroom, both of which are also fitted with ornate chandeliers. 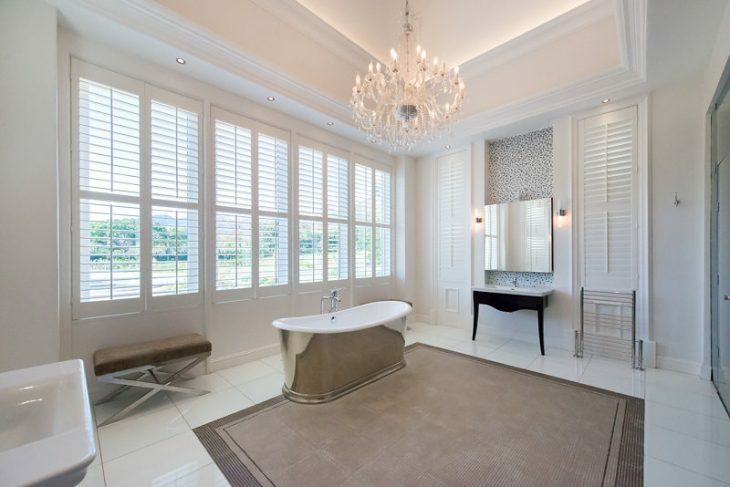 A gold oval tub takes pride of place in the bathroom, and picture windows allow the estate’s idyllic surroundings to be enjoyed. The house’s guest suite includes a bedroom, private kitchen and en-suite bathroom. The bedroom features high ceilings with coffer detailing, timber flooring and more pieces from the client’s antique furniture collection. 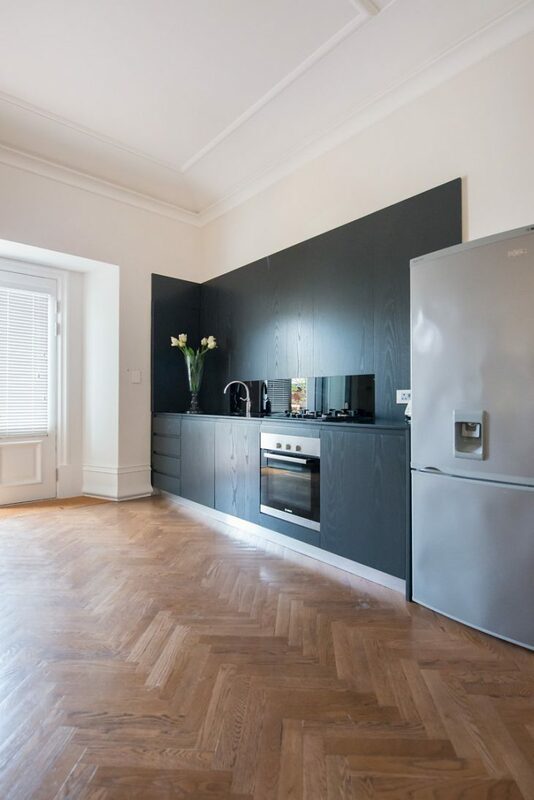 The kitchen comprises of black-stained timber wall-cladding and cabinets, along with timber flooring laid in a herringbone pattern. 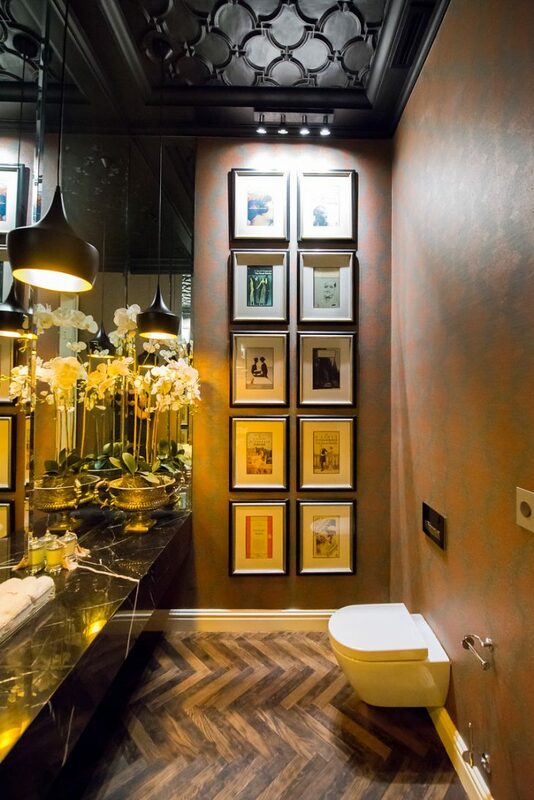 In the bathroom, the same timber herringbone flooring was used, along with other plush details, including marble wall tiles, a charcoal colour statement wall, intricate ceiling detailing and a chandelier. The children’s bedroom is whimsically decorated with several umbrella lamps which hang suspended from the ceiling. The en-suite bathroom has been scaled down to height with smaller-sized amenities being utilised throughout. In addition to the bedrooms, the manor also includes a light and bright family study room. 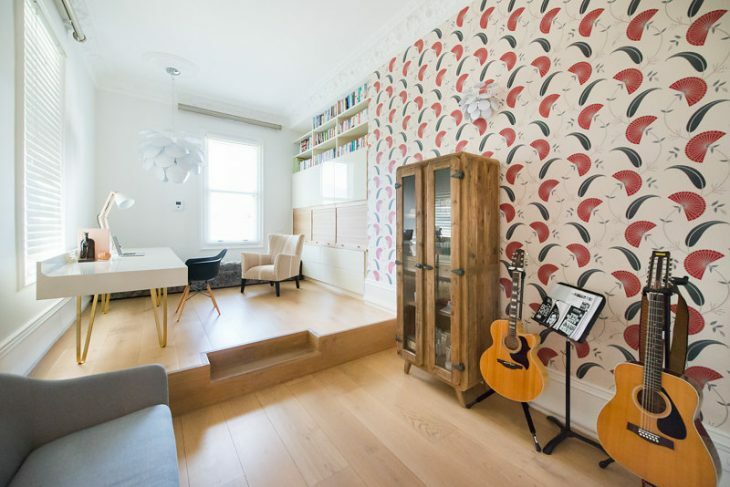 The space is mostly white, with wooden flooring and cupboards and includes modern white blinds and a decorative pendant light. While most of the rooms are decorated in soft, light textures and colours, a darker aesthetic can be found in the house’s two guest bathrooms. The first is walled in a greyish antique mirror panel tile and lit with sconces, while the second features an intricate black moulded ceiling, a black marble counter, atmospheric pendant lighting and elaborate yet moody wallpaper. By utlising a somewhat subdued, neutral palette warmed by quality natural finished such as marble and timber, Inhouse successfully created an enduringly stylish canvas to house a pre-existing collection of antiques and show them off to effect. 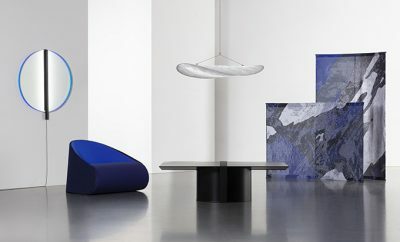 While the decidedly grand impact is clear, this project more clearly demonstrates what can be accomplished when the interior design scheme sympathetically meets the needs and vision of the brief.